This is a new currency introduced in the mod. It is what you use in the machines. This mod also comes with a config file to change prize/coin rates etc. Right click with gold coins to try and win a prize. The chance of getting prizes is also configurable. Take three goes at trying to win coins, tokens or other cool goodies! Your prize is determined by your final score. Try to get three images of the same kind in a row. Depending on the image, you will win prizes! Emerald Tokens are a premium currency that can be won in Penny Pushers OR Traded for with villagers. They are used to buy toys or in an Emerald Pusher. The Out of Order Machine is a creative-only block that, as the name suggests, is out of order. Don't try and put your coins in, or you'll get a nasty surprise! All make sound effects (apart from the Rubix Cube). 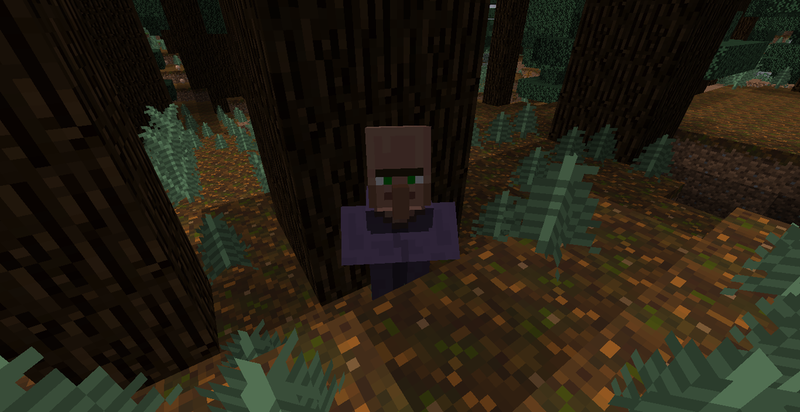 The custom villager dons a purple/blue robe (but currently doesn't spawn naturally).